Possibility to spend the night at Chiang Mai airport (CNX), if open 24 hours. Services available, places to rest (free resting zones), or look for the list of nearby hotels and vip lounges..
Chiang Mai airport is not very comfortable for a good night's rest, so it is recommended to have a sleeping bag, blankets, a mask and earplugs. Where to rest: There are not many possibilities inside the enclosure, except for some VIP lounges that close at night. 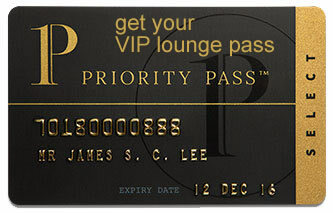 SEE VIP LOUNGES Around the airport you can find different kinds of accommodation. Baggage: There are left-luggage services on the first floor of both terminals. Eating and drinking: There are some coffee shops inside the airport that remain open throughout the night. Wi-Fi: The service is free for 2 hours. There are no accommodations inside the enclosure, but you can find several hotels nearby, among them: Airport Resident (Tel +66 5320 1951), Noble Place Chiangmai (Tel +66 5328 4999), TL Residence (Tel +66 5327 4629), B2 Thippanate Boutique & Budget Hotel (Tel +66 5327 9977), B2 Airport Boutique & Budget Hotel (Tel +66 5327 5444), [email protected] Hotel (Tel +66 5327 5333), Bann Park Inn (Tel +66 5324 3394), Sleep Terminal Hostel (Tel +66 5327 8279), Fellow Hostel (Tel +66 965 429 291), Mini Casa Hostel (Tel +66 992 829 180). Some of them provide shuttle services to and from the airport.